Hey lovely human being, head on over to CAPTIVATED FREEDOM if you want to see the latest in what's been going on in my life. Well, it's been a bit, hasn't it? So much has happened...but isn't that always the case? A lot has ended recently. High school, this summer, living in Ohio....so many goodbyes. And here is another one...goodbye to this blog. I started this blog four years ago this month, just before I started high school. Now, here I am, having just got out of my first college class and sitting in my dorm in Florida...so many hellos. And here is another one...hello to this blog. You didn't think it was really goodbye, did you!? With all of this newness, I felt as though it was time for a new blog as well. Thank you for journeying with me for the past four years. My heart is so full at the thought of you, dear reader, continually keeping up with me...please don't stop reading! Your support means so much to me. Please know of my continued prayers for you and whatever this year holds for you. Because I don't have a ton of time to write (getting ready for Catholic Youth Summer Camp, aka CYSC: SO PUMPED), I decided I'd share with all y'all some Saint quotes that have literally changed my life. Please take the time to meditate upon each and everyone...they're fire (both because of the Spirit and just because) :). "Cast yourselves into the arms of God and be very sure that if He wants anything from you He will fit you for the work and give you strength." "Humility is the safeguard of Chastity." "Do not grieve over the temptations you suffer. When the Lord intends to bestow a particular virtue on us, He often permits us first to be tempted by the opposite vice. Therefore, look upon every temptation as an invitation to grow in a particular virtue and a promise by God that you will be successful, if only you stand fast." I could go on for forever, but these are some of my all-time favorite quotes from Saints. Please keep me and all those going to CYSC in your prayers! I'll be sure to pray for all of you! What are some of your favorite Saint quotes? I am a huge Pixar fan. I'm more than slightly obsessed with each one of their films and, of course, their Pixar Shorts. So when Finding Dory came out, I got so pumped. Not only because of the improvements of Pixar's animation capabilities and the amazingly cute Pixar Short (Piper), but because of the revelation of "the ultimate easter egg." Apparently, the "septipus" Hank has been in every single Pixar movie along with the other (much less hidden) easter eggs: the Pizza Planet van and the A113 number. Of course, because this "septipus" has the ability to change its skin color to hide into its surroundings, Hank is very hard to find. But just because we can't always see him, does that mean he isn't there? Let's take air for example. Can we "see" air? We can see the affects of air on Earth as a whole, but we can't see air in itself. Does that mean it isn't there? Well, take a deep breath. Exactly. Of course it exists. My point: just because we can't see something doesn't mean it isn't there. As a matter of fact, many of the things that keep us living cannot be seen regularly or even at all. Including God. Because we are visual creatures, it is very hard to believe in something that isn't being seen. AKA God. The same applies to "feeling" God in our lives. Many times in prayer we don't feel that "spiritual high" or that "emotion" where we can really sense that God is present. While these moments are amazing and very beneficial, it is dangerous to place our relationship with God on an emotion. Why? Because emotions and feelings come and go while God is always present. If we base our relationship on a feeling or emotion then we will not recognize that God is present when these feelings and emotions are not. And God is always present. Imagine a friend standing by you with his/her hand on your shoulder. Is he/she there? Yes. Now imagine the friend take the hand off the shoulder. Is he/she still there? Yes. You may not feel the touch of the friend but that doesn't lessen his/her actual presence. The friend is still there. This is the same with God. Because God is God and therefore must be present in and with all things, He is there. We may not feel Him but that doesn't mean He is not there. Are you alive? If so, God is present. Praise the Lord for His Presence! President Abraham Lincoln says, "To believe in things you can see and touch is no belief at all; but to believe in the unseen is a triumph and a blessing." Let us pray to have faith in this belief! Before I begin, know that this post will be intense. But so is life, right? I love deductive arguments, so I'll start off with one :). Premise 1. Our world worships pleasure. Premise 2. Christians worship Jesus in union with the Father and the Spirit. Premise 3. Jesus is not of this world (John 8:23). Premise 4. We, as Christians, are not called to be of this world (John 15:19) and therefore the opposite of the world. Conclusion. Therefore, as Christians, we are not called to worship pleasure but are called to be more joyful in the opposite of pleasure than in pleasure itself for we are not of this world. What is the opposite of pleasure? Suffering. Yes, I'm implying that one should be joyful in suffering: precisely because of its hidden value. A value that lasts longer and has more worth than pleasure. A value that is eternal life itself. This value is the entire goal and purpose of our human life. When Jesus appeared to St. Faustina, He said, "If the angels were capable of envy, they would envy us for two things: one is the receiving of Holy Communion, and the other is suffering." Pleasure as pleasure is not wrong. God gives us pleasure because He Loves watching His Loved ones be happy, and through that happiness, worship Him. But just because pleasure is good doesn't mean suffering is bad. God doesn't enjoy watching us suffer, at least by the way many understand these words. God allows us to suffer so that we may take part in the redemptive mission of Jesus on the Cross. It is when we choose to unite our sufferings to the Cross that He "rejoices" in our suffering. We are called to continue the redemptive work of Jesus on earth. To do this we must understand how Jesus ultimately completed it and how we are called to bring people to this completion. Jesus fulfilled this mission on the Cross. Was the Cross pleasurable? Did Jesus have fun or feel good on the Cross? No, it was so stressful that just thinking about it caused Him to sweat blood. He was scourged by whips with metal hooks and sharpened animal bones, and even atheist historians believe that this scourging was one of the most brutal Roman tortures ever in history. If you've ever seen the masterpiece The Passion you'll know what I mean. And Mel Gibson even admits that he didn't make it as gory as it probably was. What about the crown of thorns? The plant this "crown" is from is the Euphorbia milii. This is known to have some of the sharpest thorns of any thorny plant. This isn't even the worst part. These thorns contain a sappy substance which is actually poisonous when taken internally. Imagine when the thorns pierced Jesus' head. Imagine how the poison would've been released into His brain. How about when He carried the heavy cross? Scientists believe that the open wounds from the scourging would've clotted to the cross. Imagine the pain of when Jesus fell. Not once, not twice, but three times. Every time Jesus fell, His flesh was torn open due to His blood clotting to the cross. What about the crucifixion? 7-9 inches of metal being driven into His hands and feet. Because of the position of the cross, His body would've been contorted causing bones to dislocate. Because of this position and the loss of blood, breathing would've become nearly impossible, eventually causing asphyxia and, of course, death. All this doesn't even include the psychological, or emotional, pain involved in the crucifixion process. Seeing "God's People" kill God. The ones who just a week before wanted to crown Him as King crowned Him with a crown of thorns and set Him off to die. Jesus saw the agony of His mother at the Cross. All but one of His closest friends betrayed Him. He lay on the cross completely naked and exposed for the people to see and mock. These are all just the smallest aspects of the emotional pain that took place. This is the suffering that won for us the freedom that we strive for: eternal life. The salvation of billions of people all because of suffering. We are called to unite our suffering to the Cross for the Salvation of souls by the act of "offering up." By offering something up we place our suffering in God's Hands and ask Him to bring Grace out of this suffering. This Grace is given to ourselves, for others, and for the salvation of the entire world. Pray for those who suffer: that, if it be God's will, He will relieve them of their sufferings and show them how to suffer the way He desires. Thoughts and prayers go out to the families of those who died in the Orlando shootings and also for the souls of those who died. Eternal Rest grant unto them, O Lord, and may your perpetual Light shine upon them. God bless you all and know that I am keeping you in my prayers! Please keep me in yours! When I first saw the trailer of the movie "Me Before You," and found that my sister Annie wanted to see it, I decided I'd take her on a "date," as a sort of late birthday present. I can really feel your judgement :). As I heard and read about the hidden agenda in the movie, I decided there was a need to write something on it. I honestly find its title to be quite ironic. What I want before what You (God) want. Jojo Myers, the author of the book, said that the title is "deliberately opaque – but I think of it as referring to each of them: It’s "who I was before I met you."" As the title of the book and now movie is opaque, they both also contain what may be somewhat opaque for many people. Euthanasia. Before I go further into this issue, I want to let all of you readers know that this post is not meant to exhaust the issue of euthanasia. It is meant to give a basic understanding as to what euthanasia is, and why or why it isn't wrong. While it is just a basic overview, it will still be a long post. Please bear with me. Funny story: when my brother and I were younger, we heard our parents pray for an end to euthanasia. We both thought that there was something wrong with youth in Asia :). If any of you readers are a youth in Asia, know that my mind has been deeply changed. Euthanasia is bad because life is good. Euthanasia is wrong because life is right. Euthanasia is immoral because life is moral. Euthanasia undermines the dignity of life. What is euthanasia? It comes from the two Greek words "eu," meaning well/easy and "thanatos," meaning death. So it literally means an "easy death." There is nothing wrong with an "easy death" in itself, but when applied and forced in the way that our culture and world have done so, issues arise of which I will get into. Many would refer to euthanasia as "mercy killing" or "death with dignity." This is how our culture would define euthanasia. "Mercy killing" contradicts itself. True mercy will always bear life for true mercy comes from Love. Love must be fruitful (as in give life) therefore mercy must be fruitful. Killing involves taking away life: in this case taking away even the mercy. So all we are left with is "killing." And killing is always wrong, in itself. One could give the argument of the military killing in battle. If any of you reading this are confused on this topic, I will write a post on it. However, military killing and "just war" are not the topic of this post. There is, as Pope Saint John Paul II says, an "incomparable worth of the human person." Our culture has become so oriented towards that which feels good or is pleasurable. We do not find worth in suffering (me included). But what was it that restored our own worth? The suffering of Christ on the Cross for the Salvation of souls. Suffering is beautiful! As explained in "Evangelium Vitae" or "The Gospel of Life" by Pope St. JP II, our society has become unable to accept suffering, and care for those suffering, so we try to eliminate suffering and hasten the time of death. Suffering becomes "the epitome of evil; to be eliminated at all costs." This points to what Pope Francis calls our "throw-away culture." We see the weak and suffering as disposable. We undermine the dignity of life. So do we even have a right to take or assist taking another person's life when it is so magnificent? This leads us to the argument of the so called "right to death." The name "right to death" speaks for itself. So the question is: do we have a right to death? To choose when we want to die? To take our own life? If we accept any argument of the "right to death," we are taking away our "right to life." I will present two arguments on this. First of all, notice that the right to life doesn't say "right to life sometimes" or "right to a half-life," it says a "right to life." A life in its fullness. The moment we apply the right to death, we are reducing the right to life. One must fully exist by itself. The two cannot exist together. The second argument I'd like to make is that all our rights come from God as given to the Governments of the world to enact. Many would like to say that our rights come solely from man. After all, the Constitution did come from man and our Government is run by man (by man I mean mankind). How easily do we as a country forget the words spoken by the ones who wrote the Constitution, as written in the Declaration of Independence. It states clearly that all men "are endowed by their Creator with certain unalienable Rights." Our rights come from God! If they did not, there would be no absolute rights. That which is not absolute is subjective. If our rights do not come from God then they are subjective towards what the State desires. They are subjective towards majority vote. The majority has been very wrong in the past. Fact. Look at the racism of the world, especially the USA, towards African-Americans: who are made in the image and likeness of God just like the white people. Look at the slavery of the 17-1800s. Issues have risen in the past and will continue to arise if we believe our rights do not come from God. If all our rights are not absolute all is relative. The country is run by the people and for the people. If all is relative, and there are so many ideas in this country, then we will be left with numerous governments. We will be the DSA. The Divided States of America. My point: all rights come from God, an unjust right is not a true right. God gave us all life: he gave us a right to life. Not a right to death. If He did we would not be alive for we would not be capable of exercising our right to life. There is no such thing as a "right to death." Back to "Me Before You." It has a message of death in the story of two beautiful lives. Taking this further, it warps life as something disposable. As something that only has worth if one sees it that way. Life is not disposable for it is sacred and beautiful. If you or someone you know is considering euthanasia, know that I will be praying for you/them! You are beautiful! You are God's child and He will protect you! Your life is sacred! Your life has dignity! I pray that you will unite your sufferings to the Cross, where your freedom was won! Praise be to the Lord! God bless you all and know that you are all in my prayers! Please keep me in yours! 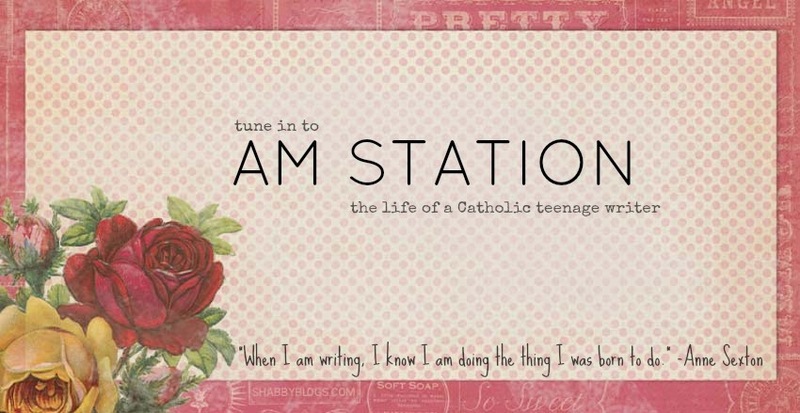 Hello, fellow readers of AM Station! 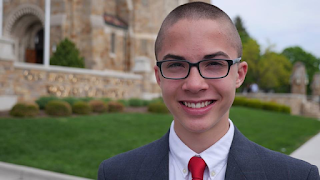 My name is John Paul and, because it is against my nature to reject my wonderful sister, I will be writing the posts on this blog over the summer as my sister follows the will of the Lord at CYSC (Catholic Youth Summer Camp). Please continue to keep her in your prayers! Most importantly, I am Annie's favorite brother. Okay, that is probably a lie, but one can dream, right? I just finished my freshman year of high school at the school of home, so I'm looking forward (that's another lie) to my sophomore year! I am obsessed with Christian rap (yes, that is a thing) #hype #fire #romans116 #unashamed #onmy116 #HomeschoolerUsingHashtags. My friends (yes I have friends, thank you) and I call it CRap :). My favorite artist is probably Lecrae, but my favorite non-Christian artist is probably Echosmith. I play the drums, I love to read (mostly philosophy and theology: I'm kinda strange if you haven't noticed), play sports (basketball all the way), and most of all adore my Lord and Savior Jesus Christ. There you go. A small snippet into the life of Anne Marie's brother. Recently, I have grown hugely disappointed in our world, our country, our culture, and even my friends. I am sickened by our pacifistic attitudes. Before I go further into this, know that even I become pacifistic at times. I'm uncomfortable with the uncomfortable, so I choose what is comfortable for me. I become selfish even though someone needs to be challenged. But what does it mean to be pacifistic? It, in itself, is fine. It means to be against war and violence. But when one applies this attitude towards something that is inherently wrong, and chooses to not challenge what is wrong because of not wanting to "hurt someone's feelings" or because "it's not nice to challenge someone" we fall into many issues. Imagine if the Allies were pacifistic towards Hitler during World War II? After all, it isn't "nice" to challenge someone. Or maybe if someone was physically or emotionally bullying someone who could not defend his/herself, isn't it "rude" to hurt the bully's feelings? Taking this even further, what about when someone sins (although the past examples are sin)? Sin is defined as "separation from God," making it very serious. Even the slightest sin should be challenged. But all of these are to be challenged with love because it is love that roots out sin. Many would take love as to "not hurt someone's feelings." How I define love is "dying to oneself for the good of another." This is what true love is. It's unselfish, for as soon as it becomes selfish it becomes lust: the opposite of true love. Many times when I challenge someone, a friend will always tell me that I'm "not being nice" and that I'm "not being loving". I always respond that "love isn't always nice. And if I did not love them, I wouldn't even care to challenge them." I dislike challenging people (and by people, I am referring to actions, not them in themselves). But this is where I apply the definition of love I gave before. I die to myself by challenging another so that they can grow as sons and daughters of God. The majority of us have probably experienced growing pains: growing hurts! This is why many reject a challenge (including myself). It hurts to grow as people. It's uncomfortable for the one giving the challenge and uncomfortable for one to receive the challenge. Our culture is so oriented towards what is comfortable. To what is pleasurable. To what "feels good" in an instantaneous moment. It is a social experiment on identity and challenging another person. 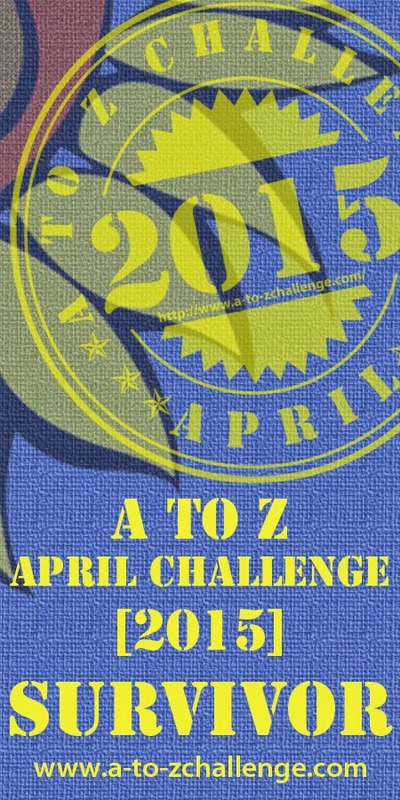 My challenge for all who read this is to not be afraid to challenge someone who is doing something wrong. Whether it be gossiping, pride, selfishness, immodesty, impurity, etc. And be open to their challenges for you! This is how the world is changed! This is how the world become a better, more loving place! Pray for these people! Hold fast to God, and let your strength come from Him! As Alexander Hamilton said: "Those who stand for nothing fall for anything." God bless you all and know that I will pray for each one of you! Please please please keep me in your prayers! Anne Marie J. Schlueter is a 18-year-old in love with Jesus and striving to do His will. She writes, attempts to sing, continuously dances, devours both words and food, cannot sleep with her closet door open, immensely enjoys awkward conversations, and generally has a lovely time at this thing called life. My posts, hand delivered to your inbox!